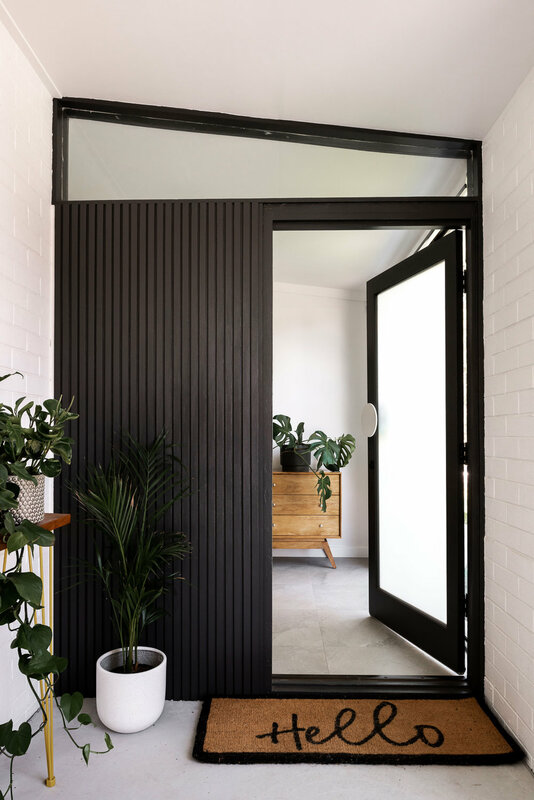 When the owners of this home came across a rundown home in City Beach, they were struck with the instant connection they had with not only with the space, but its history too. Sitting proud as part of the 1962 British Empire and Commonwealth Games Village homes for the athletes, it was one of few buildings still standing. The active family with a love of the outdoors and sporting knew it was the home for them, but it was tired, its layout had functionality issues and it was in dire need of extra spaces; this is where Dalecki Design stepped in. The team were engaged to work with the existing structure, encouraged to stay respectful and retain the charm of its original 60’s form. The space had to embrace an indoor-connection, feel light and airy, and couldn’t be too precious - with two little ones in tow, it needed to be spacious and child-friendly. Its original layout worked in the team's favour, with existing courtyards to the east and west ends of the corridor connecting the two separate wings of the home. Overall, these courtyards were showcased further with the addition of full height glazing opening up these exterior zones. To enhance the feeling of space and the functionality of the layout, walls were removed within the living zone and the laundry space was also taken away to create a more free-flowing layout, along with allowing the addition of more windows that provided the desired indoor/outdoor connection. These changes created a dual effect. The parents have natural light pouring into the kitchen whilst they can also see their kids playing outside. The parents are now also able to relax in their own master suite, with private ensuite, large walk in robe and a built-in day bed with additional storage built-in. The suite provides a private, hidden nook separate from the main living spaces to retreat after a busy day - another feature that was high on the owners wish list. Materials and tones were kept simple, yet striking, with the updated monochromatic exterior allowing the nostalgic 60’s form to be the main statement.